Corinna Fuchs was born in 1986 near Stuttgart. Recently graduated with an M.A in Sociology, she is the happiness hanager of our media agency Sinnwerkstatt GmbH working together with us for the common good. Her work focuses primarily on what’s inside, other companies would refer to it as personal management and team building. On top of this her role as facilitator for customer workshops allows her to establish a creative space where people and ideas can come to life. Corinna studierte in Mannheim, Barcelona und Berlin Soziologie mit den Schwerpunkten Migration/postcolonial studies, qualitative Forschungsmethoden, action research und sozial-ökologische Transformation. Um ihrem Interesse an Menschen und Körper mehr in ihr Leben zu integrieren machte sie neben ihrem Studium verschiedenen Aus-, und Weiterbildungen im Bereich Theater- und Tanzpädagogik und zeitgenössischem Tanz. She assisted the customer workshops for Primaveralife and facilitated a networking day for working groups as part of a concept study „Zukunftsmeile Nürnberg“. The aim of the workshop was to integrate workers of co-working spaces and participants of social ecological transformation. Corinna has really got her teeth stuck into the Sinnwerkstatt since starting with us in August 2014. Her role as happiness manager has her coordinating and organising a team to ensure a professional yet satisfying cooperation with our employees. A daily task is to resolve everyday conflicts through regular meetings with all of the staff; conflicts are discussed and integrated into both a personal and professional development. 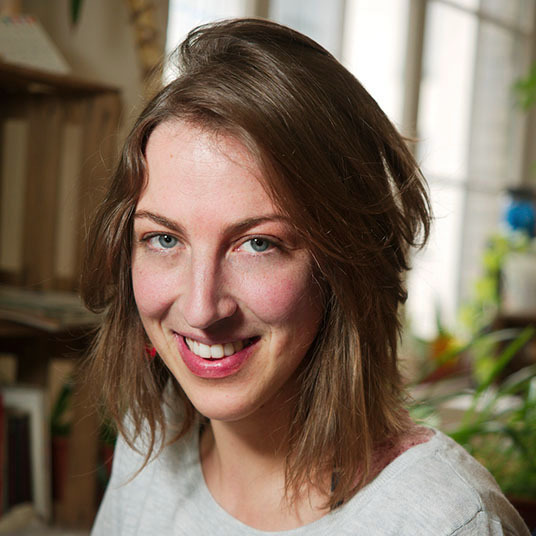 Corinna has studied in Mannheim, Barcelona and Berlin her focus being on migration and postcolonial studies as well as social ecological transformation. Her studies taught her qualitative research methods and action research. Alongside her studies Corinna trained in theatre and dance education and contemporary dance, integrating her interest in people and their bodies more into her everyday life. She also works as a freelance coach for the project „wandel.gemeinsam.performen“ and was the seminar organiser for the project „transition-erleben„. After her studies she got involved in a structuring process across Germany to spread the word of common good. She then landed at Sinnwerkstatt and became our happiness manager. To fulfil her desire to offer people even more range within their work she is currently training to become a gestalt coach, gestalt therapist and a hero’s journey leader.